If you were to believe the rumor mill, the Phillies did an awful lot of due diligence looking at different players to fill their wide open whole at short. Deep into the night, the rumor mill continues to churn and it continues to involve filling the shortstop position. This rumor is out of left field and has a bit more sizzle than rumors linking the Phillies to Rafael Furcal. Chris Cotillo of SB Nation is reporting that the Phillies are considered frontrunners for Korean shortstop Jung-ho Kang. 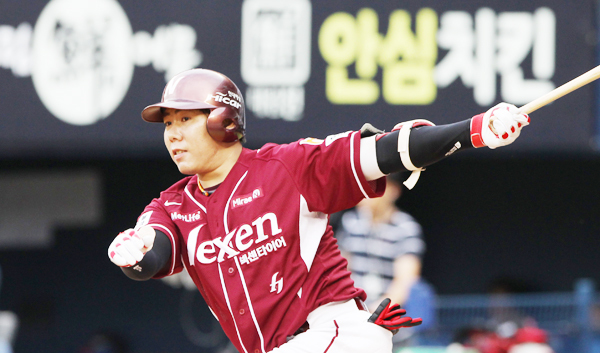 While that part is speculation, although there is interesting headcount we will get to later, there is a bit of substance to go along with the report: Kang’s team, the Nexen Heroes, have accepted a $5 million posting fee from a MYSTERY TEAM (emphasis mine) for the rights to negotiate with him. If Kang goes unsigned, he returns to Korea and the posting fee is returned to the winning team. Cotillo notes that his sources indicate the Phillies and Nationals are the two frontrunners for Kang while other sources have indicated that 11 teams (Mets, Orioles, Padres, Dodgers, Blue Jays, Yankees, Braves, Giants, A’s, Twins, and Rays) either did not bid or have dropped out of bidding. Kang, 27, hit 40 homers last year with a 1.198 OPS in the KBO, a noted hitter’s league, however Jeff Todd and Brad Johnson of MLB Trade Rumors indicate that those numbers still compare very favorably against league average.